Install good anti-virus software and use the latest versions. By installing good anti-virus software and always keeping it up-to-date, you will have a solid defense. Updated versions of antivirus software will warn you of potentially dangerous or fake networks. Don’t be careless about your passwords. If you need to save your passwords on your device, use an encrypted manager system to keep them safe. Pay attention to the name of the WiFi network. Some hackers will use networks that have a similar name to ones in the vicinity. Make sure to pay attention to the network you select. If you are unsure, ask the owner of the network to clarify which one is secure. An authentic hotspot will normally require a password, while a fake one will not. 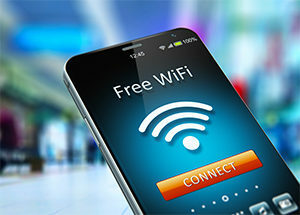 The best way to avoid data theft is to use your personal mobile data instead of public Wi-Fi. Typing in your bank information while using public Wi-Fi makes you highly susceptible to fraud. Paying for a few extra megabits is a small price to pay for keeping your information safe. For more ideas, view this video.